With less than two hours to go before Stargate Universe comes to an end so does a franchise that started as a Movie, spun onto Showtime, went to Syndication and then ended up on Sci-Fi. The seventeen year old franchise (if you include the movie) on a whole was a great science ficition franchise. The overall idea was simple one: A gate to other universes used by aliens to transport their slaves from world to world. The slaves rebelled and buried the gates or fought back. A great premise for science fiction and while some episodes weren’t as good as others, the actors and the audience had a fun time watching. And, unlike Star Trek series, each of the Stargate Franchise Series agreed with me. I think Atlantis and Universe more than SG-1. SG-1’s cast was great, the story lines sometimes got a little too long in the tooth and by time half the cast from Farscape joined SG-1 it was high time to end the series. The faces and the sets on Atlantis were fresher and with each passing year the story lines moved away from SG-1 weekly alien planet of the week/alien invasion/egpytian gods are aliens and started to build the characters up while the overarching plots took a backseat. There were some bumps along the way, several cast members either died/came back due to fan support or died because the writers/producers did not know what to do with them. And, while other cast members from SG Universe subbed for them sometimes even they were put in the background. When Universe came along the general mood lighting had changed, gone was the happy go lucky in SG-1 and half happy go lucky/serious in Atlantis to OMGWTFBBQ we’re lost in Universe. Overall, it should have worked, it worked for BSG when it was rebooted, right? But, unfortunately, BSG is BSG and Stargate is Stargate. I’ve mentioned in the past posts Universe took a season to find itself but with the final episodes now counting down, it’s a shame since the last few episodes have been grand slams out of the park. On a side note it will be the last “space ship” show on the air with BSG ending in 2009, Star Trek in 2005 and Farscape in 2004. Other shows on the newly redubbed SyFy were cheaper to produce, happy go lucky and funny to watch and getting better ratings. Thankfully, Eureka and Warehouse 13 are enjoyable while I’ve given up on Haven and Being Human while a great concept is still producing episodes in the UK. In the end if Eurkea and Warehouse can benefit from the actors availability so much the better. 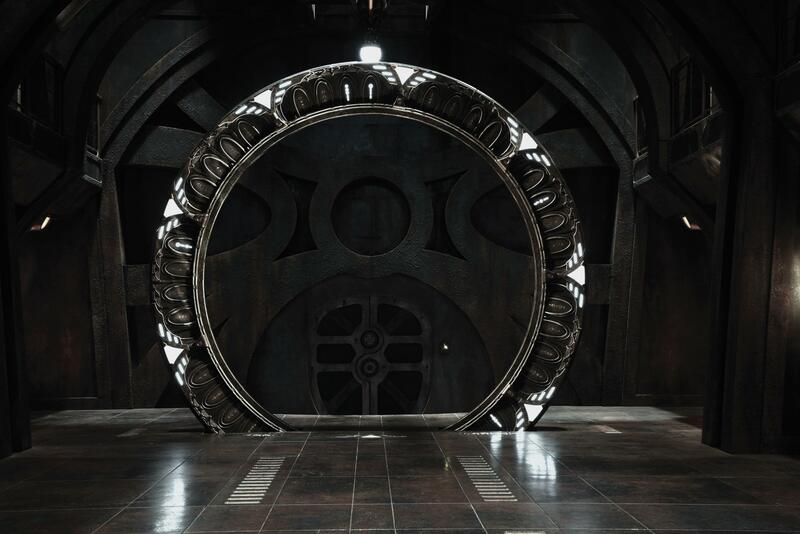 This entry was posted in Geekdom, Original Series, Television and tagged stargate atlantis, stargate sg-1, stargate: sgu, Television by RK Bentley. Bookmark the permalink. Next → Next post: [Plotting About] Chapter 3 done.